Welcome to the frockiest month of the year, Frocktober! Over the next four weeks, I’ll be frocking up every Friday in a new season/currently available frock for Frocktober. 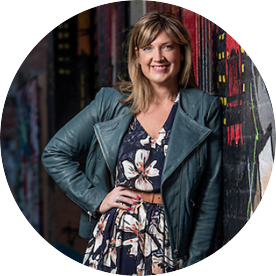 I’m also joining Kimba Likes‘ Frocktober team to raise money for Ovarian Cancer Research, all the details of which are here. To kick things off, I’m going all out and wearing two frocks from Australian indie label MahaShe. April is the woman behind MahaShe, which she began seven years ago. April lives in the Byron Bay area and started selling her clothes, which are ethically made in India, at local markets. Her range includes gorgeous, colourful prints in dresses, pants, tops and accessories. April has just taken the next step by opening her online shop. When I looked through the MahaShe online store, I was immediately taken with this dress: the April Dress in Spiral Pink,* $98. ABOVE: April Dress in Spiral Pink*; earrings from Hello Sailor Accessories;* Copper Clogs from Gorman. The gorgeous pink and orange Asian inspired print is so pretty and can easily be dressed up or down. 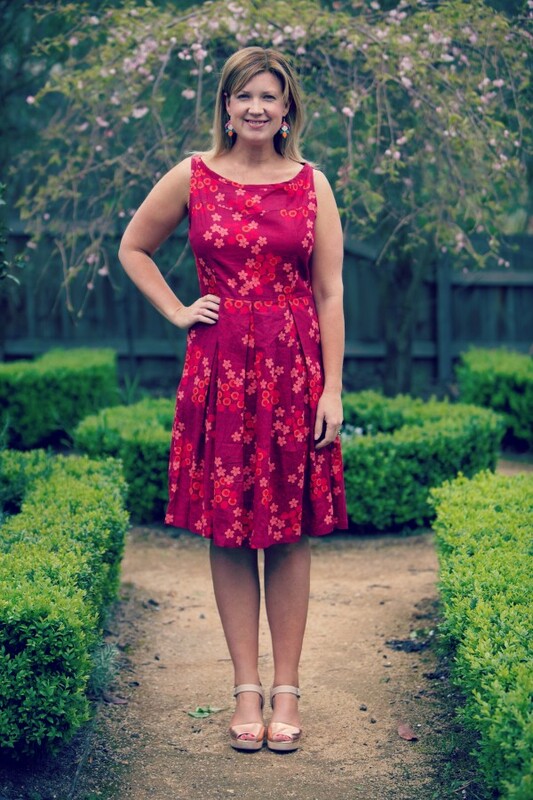 The boat neck, waist and gentle pleats are so flattering too in that retro feminine way. The side zip and light cotton also make it an easy dress to wear. In this dress, size wise, I am wearing a Medium. On to Frock #2. Below, I’m wearing the Sixties Tunic in Sara Green*, $89. How divine is this print? Loads of accessories options here and again, a frock that easily be dressed up or down. I am wearing a Large as this dress runs a little neat. ABOVE: Sixties Tunic in Sara Green,* earrings from Hello Sailor Accessories;* Anthropologie heels bought for a song on sale a couple of seasons ago. * These items were gifted to me in accordance with my Disclosure policy which you can check out here. Have you found any fab frocks in your travels this week? 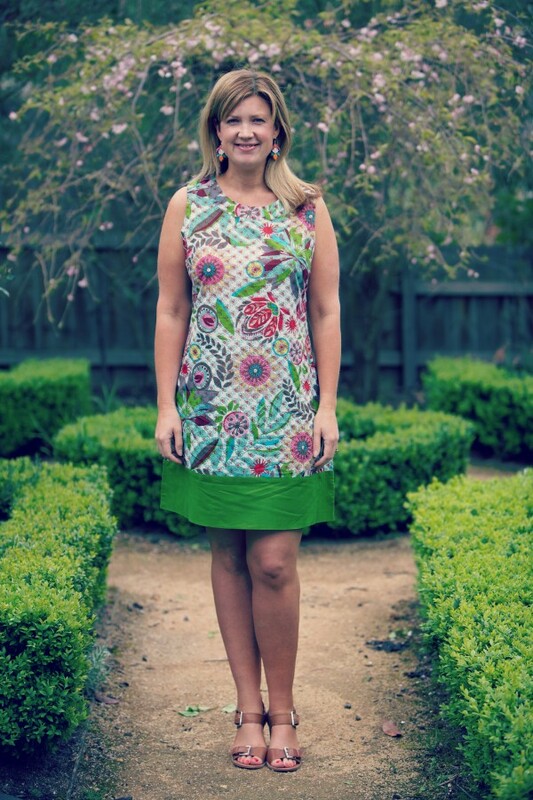 Will you be joining or supporting Frocktober? 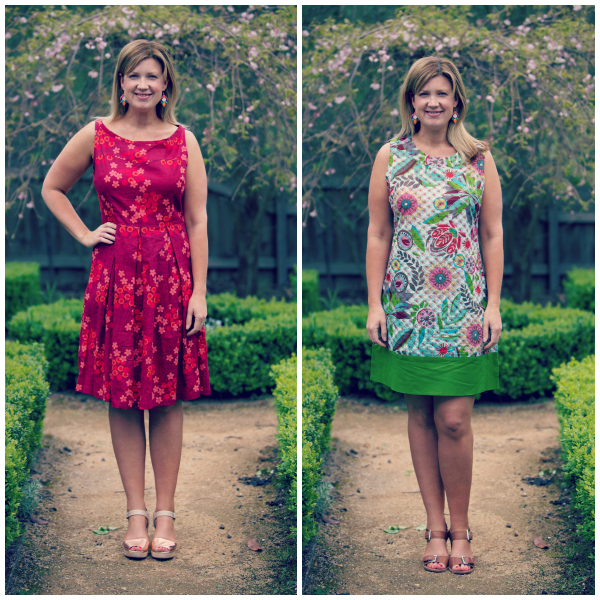 What’s your pick of the lovely MahaShe frocks above?